Rose was meant for something greater. How do you measure the value of your life? 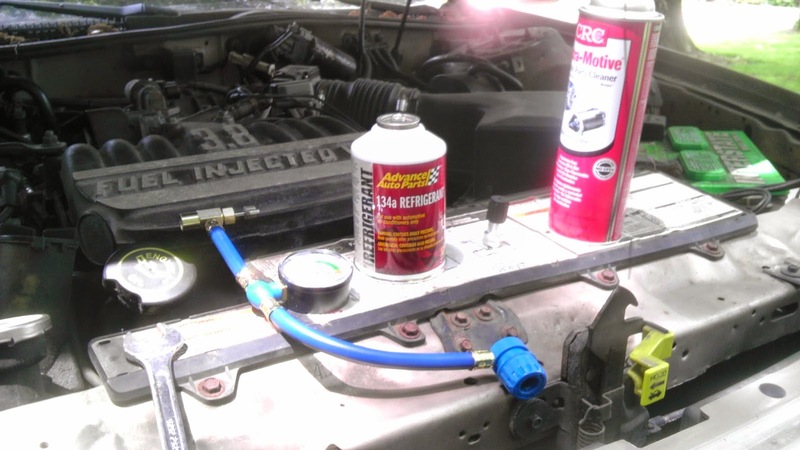 By what you can buy, or what you can do? Like the sound water makes just before it boils, Rose always felt some sort of internal calling which was indescribable. She couldn't tell anyone for fear of ridicule, but she knew, something inside her was telling her that this life she was in wasn't all that there would be in her story. No Rose knew, what only a few select people knew, that she was meant for something greater. Of course Rose didn't know when or how destiny might call. She didn't know if it was God calling, or if she was completely honest in her times of despair, that she might be delusional. All she knew is she was certain that her life would have some purpose, beyond the mundane, some greater meaning than she could see for herself at this moment. In fact it was entirely possible she concluded, the mere concept that she felt this way would lead her to self-fulfilment of her own destiny. She might change the world, if she could find her way out of this life. 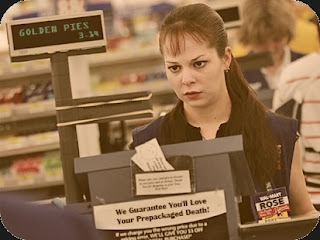 As she stared out into the aisles of shoppers, like rats in a maze, Rose was certain as she swiped the umpteenth package of bologna through the bar-code reader at the checkout of her job, there must be an escape. 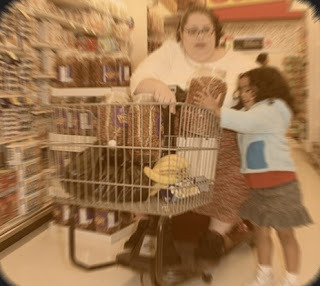 As the fat women on the other side of the conveyor belt drooled at the lunch meat, her three children, all tethered by way of bungee cord, and leashed to the bumper of her handicap scooter chirped like little birds for a candy bar. Rose tried to be a good person, but bad thoughts occasionally crept into her mind. She already had begun daydreaming of a scenario in which the three little piglet children, upon realizing the Girl Scouts' had arrived at the front of the store with a wagon of baked goods, simultaneously yank their obese mother and her scooter, like a wild pack of dogs, stopping only once they've obtained their chocolate covered mint cookies. Yet the mother and her conveyance, both screaming, and overwhelmed by the laws of momentum continued their path into oncoming traffic and their untimely death. Rose cringed. "Snap out of it! ", Rose demanded of herself, as she read back the woman's total though it shined glaringly at the woman's face. Her internal voice now screaming "for God sakes, please don't write a check", as the fat woman broke out her checkbook, a custom engraved leather covered checkbook with a cross on the cover, and a Bible passage imprinted on the check. After an eternity of writing, as if to steal time from Rose's youth, she handed Rose the check and with a wink, a smirk and said "now don't spend it all in one place honey!" Rose inserted it into the register and closed her eyes as she braced for what came next while handing the woman the receipt; it's what always comes next: "Have a blessed day!" said the woman as the electronic motor of her rolling seat strained to drive God's creature out of sight. Rose knew this woman wasn't here to help her; idols and idioms only curtain the dream. In fact no one in her life was. It appeared as though everyone she knew was here to prevent her, to stop her from leaving. From finding out the truth, of becoming who she needed to be, of fulfilling her destiny, the secret she kept inside, of being meant for something greater. That's when she came through Rose's queue and caught her off guard. "I used to dream of killing my customers too" said Alex as she introduced herself to Rose's face of shock and surprise. "How did you...? "- Rose was baffled; "know? The look on your face. Hell, I practically wanted to shove the lady's patronizing face in a deep fryer and I don't even work here," she confessed. "I used to be just like you, dreaming of grabbing my boss by the hair, dragging her over to the meat slicer, and turning it on. Sometimes I wondered if I was in a television show, and at any moment someone would pop out and tell me this reality was a joke on me. Surely if this is all real, if people were this blatantly consumed for normality, then I might be meant for something greater?" Rose was now bewildered. She had felt alone all her life, misunderstood, an outsider, but here before her was Alex, and this must mean something. Alex handed Rose a book, its front cover white, its back cover black. Then she leaned over the conveyor belt and whispered in Rose's ear: "The answer lies in the infinite possibilities between the finite world." Deep fried human flesh. It's a slow painful death. "Save it for someone who cares Tinkerbell", screamed the now impatient customer who arrived at register eight with a box of Twinkies and grew indignant at the epiphany. As Rose turned away, she realized Alex was gone. "Can you help me carry my groceries to my Hummer too", smirked the customer as she refused to pick up the single bag with its golden bars of gooey gluttony pie in it. "Oh and double bag it too!" your choices in this world are the chemistry of reality. As she made her way to the gate at the airport, she knew there was no going back. She knew the only way out of this world she didn't fit into, was to give it all up. That meant everything, no matter how much it hurt. To risk it all for something better. This place with which Rose had lived in her whole life was a manufactured, and a packaged reality like the food upon the shelves of a grocery store, designed to keep her from escaping. She chuckled as she realized all the things that held her back. Her car, her cell phone, her job, and most importantly her. The things she owned, had ended up owning her. This was her letting go, and by that single act she had already achieved more than she had ever before, or that most people ever would. She had changed from a passive observer to an active participant in the evolution of humanity. Great things are about to transpire. As the sun began to set, Rose boarded international flight 314, and sat down down beside her with a grin. Rose already felt a part of something important, something greater, by asking the question. It always starts with a question, she knew that now. She turned to Alex, put her hand in hers and they both smiled knowing everything had led up to this moment. In silence the two former cashiers placed their feet on the bulkhead, and their faith in themselves as the plane left for the unknown. And so her story began, Rose, who was meant for something greater only if she was willing to risk herself to the greatness of it all. Who now could decide for herself where she belonged in the vastness of it. To choose rather than be chosen. To save herself, for only she can walk the path- the journey to something greater.